Spot Pet Laser Toy is a fun, interactive laser toy for pets. 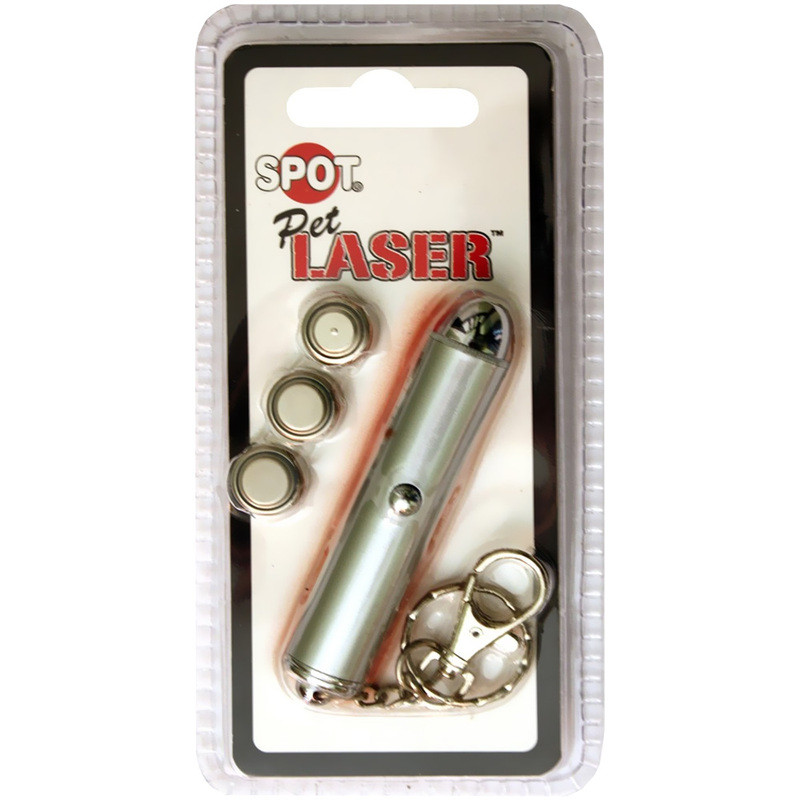 Guide the laser pointer in fun patterns and watch your pet chase the dot. Great for all types of animals who love the chase. The laser emitter is approximately 3″ tall, and features a convenient key ring and clip.